July 10, 2013 - In a final rule, the Federal Aviation Administration (FAA) announced today that it is increasing the qualification requirements for first officers who fly for U.S. passenger and cargo airlines. This new rule came about as a result of the crash of Colgan Air Flight 3407 in February 2009, in which 50 people were killed. In February 2010, the NTSB came out with a report which indicated the pilots of that flight lacked adequate pilot training and experience. In addition, the Coalition of Airline Pilots Associations had called for immediate action to address serious safety concerns including pilot fatigue, pilot training, and inadequate pilot experience. The new rule was enacted in the Airline Safety and Federal Aviation Administration Extension Act of 2010. The rule requires first officers, also known as copilots to hold an Airline Transport Pilot (ATP) certificate, requiring 1,500 hours total time as a pilot. Previously, first officers were required to have only a commercial pilot certificate, which requires 250 hours of flight time. The rule also requires first officers to have an aircraft type rating, which involves additional training and testing specific to the airplanes they fly. "Safety will be my overriding priority as Secretary, so I am especially pleased to mark my first week by announcing a rule that will help us maintain our unparalleled safety record,” said Transportation Secretary Anthony Foxx. “We owe it to the traveling public to have only the most qualified and best trained pilots." Today’s rule is one of several rulemakings required by the Act, including the new flight duty and rest requirements for pilots that were finalized in December 2011, and new training requirements expected this fall for air carrier training programs to ensure pilots know how to react properly in difficult operating environments. FAA Administrator Michael Huerta said "The rule gives first officers a stronger foundation of aeronautical knowledge and experience before they fly for an air carrier. With this rule and our efforts to address pilot fatigue both initiatives championed by the families of Colgan flight 3407 we're making a safe system even safer." • A requirement for a pilot to have a minimum of 1,000 flight hours as a co-pilot in air carrier operations prior to serving as a captain for a U.S. airline. • Enhanced training requirements for an ATP certificate, including 50 hours of multi-engine flight experience and completion of a new FAA-approved training program. • An allowance for pilots with fewer than 1,500 hours of flight time or who have not reached the minimum age of 23 to obtain a “restricted privileges” ATP certificate. A restricted privileges ATP certificate allows a pilot to serve as a copilot until he or she obtains the necessary 1,500 hours. -- Pilots who are at least 21 years old with 1,500 flight hours. The rule is consistent with the Airline Safety and Federal Aviation Administration Extension Act of 2010. The rule addresses recommendations from an Aviation Rulemaking Committee, the National Transportation Safety Board, and the FAA’s Call to Action to improve airline safety. The Air Line Pilots Association, Int’l (ALPA) hailed today’s announcement by the U.S. Federal Aviation Administration (FAA) that the agency is increasing the minimum qualification requirements for first officers (copilots) who fly for U.S. passenger and cargo airlines. The new regulations, which go into effect on August 1, reflect ALPA’s efforts on several fronts and incorporate several ALPA recommendations. 1,500 hours total time as pilot. Successfully complete new ATP Certification Training Program prior to taking the ATP knowledge test (after July 31, 2014). 1,500 total time as a pilot. 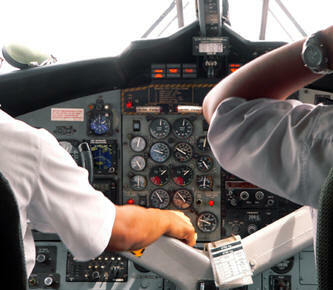 Hold commercial pilot certificate with instrument rating; and at least a second class medical certificate. At least a second class medical certificate. At least 1,000 flight hours in air carrier operations (as co-pilot in Part 121 operations, as Captain in fractional ownership operations, as Captain in Part 135 turbojet, commuter, or 10 or more passenger seat operations, or any combination thereof).